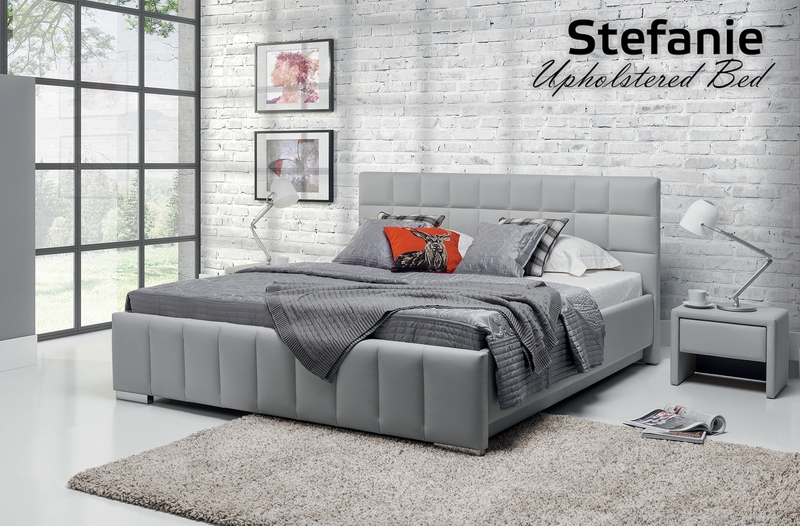 Stefanie Upholstered Bed has a sleek and modern chic design. It’s an example of true European beauty. German designers focused on simplicity and modern appeal to impress young customers. Modern, clean lines add a very sophisticated look, which complements every home design. It also adds more to your room’s overall aesthetic appeal. This bed is available in King or Queen size.